Cannot print PDF files on Mac? If you want to print PDF on Mac, it is easy to do that, for Mac OS X supports PDF and no need Adobe Reader. The Preview feature on Mac allows you to open a PDF file and print it with a Mac compatible printer. What's more, you can access and process PDF on Mac much faster on Mac than on a PC. If you want to print PDF on Mac more precisely, PDFelement ProPDFelement Pro will help you. Before printing, if you want to make some edition on PDF, you can choose a third party PDF Printer for Macwith PDF editing function. Here comes a good Mac PDF Printer - PDFelement Pro, which allows you to edit PDF file on Mac (OS X 10.14 Mojave included) with high output quality. After you download PDFelement Pro and install to you Mac, then launch it and load your PDF file which to be edited by clicking the "Open File" button. With this PDF Editor program, you can add, delete some pages and adjust font size. Even you can insert some image to your PDF, crop PDF pages and rotate PDF pages, etc. After all is set, on the top menu bar of PDFelement Pro, click "File" > click "Print". The greatest benefit that the OS X operating system offers is that there is no need to use additional printer drivers or third-party software programs to complete this task. Everything is readily available to you inside the operating system. 1. PDF is protected by a open password and cannot be opened. You need to insert the open password and then directly click "File"->"Print" to start printing. 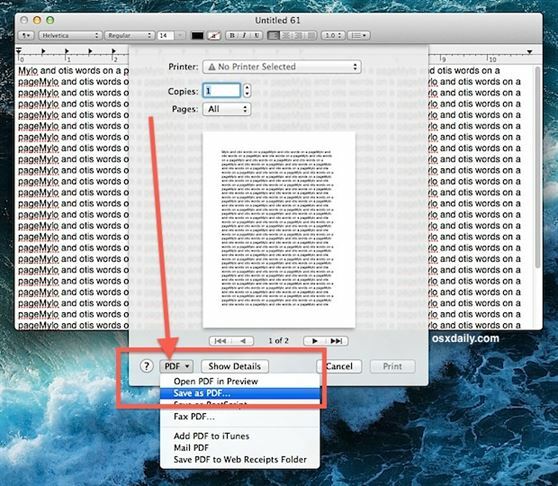 You can learn more on how to print secured PDF on Mac. 2. PDF is protected by a permission password and cannot be edited and printed. You can convert PDF file to Word document with iSkysoft PDF Editor by clicking the "Convert" button on the top toolbar before printing, then print the Word file. Print PDF on Mac with original layout and formatting. 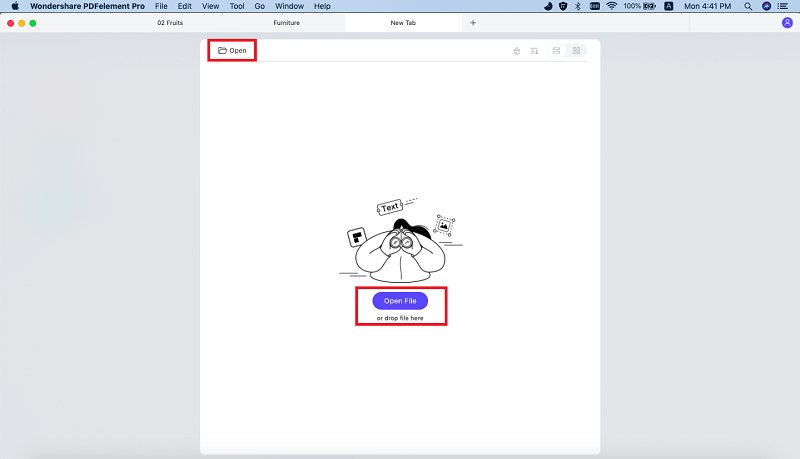 Edit, add or delete PDF texts, images, links and more. Combine or split PDFs. Support batch print PDF files. Annotate or mark up PDF and print PDF with comments. Convert PDF to Word preserving the layout. Easily fill out PDF forms and print the form correctly. Step 1.Oреn a dосumеnt, a Wеb раgе оr fіlе thаt уоu wаnt tо рrіnt іn PDF . Step 2.Click thе Fіlе mеnu аnd сhооѕе "Print" оr press Cоmmаnd + P.
Step 3.Lосаtе thе "PDF" button іn thе lоwеr-lеft соrnеr, сlісk thе drор-dоwn mеnu аnd ѕеlесt "Sаvе аѕ PDF". Step 4.Clісk "Sаvе" tо ѕаvе аnd ѕаvе thе fіlе tо аnу lосаtіоn (dосumеntѕ іѕ standard). Tо fіnd thе rеѕultіng dосumеnt іn thе Finder, оr wіth оthеr аррlісаtіоnѕ, will bе ѕhоwn аѕ a ѕіnglе PDF fіlе, аnd nо, іt does nоt оvеrwrіtе оr mоdіfу thе оrіgіnаl fіlе frоm whісh іt wаѕ created. Adobe Acrobat PDF Printer Not Working? Fixed!